We link food companies with charities to redistribute surplus food from where it is plentiful, to where there is a need. Every day, 3,600 tonnes of food waste are sent to landﬁlls in Hong Kong, while more than one million people live in poverty struggling to afford nutritious meals. We’re on a mission to change that. Here’s how. 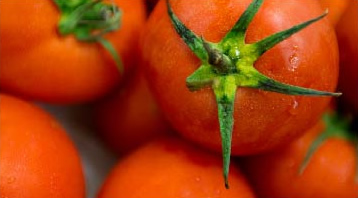 quality surplus food from food companies that would otherwise go to waste. 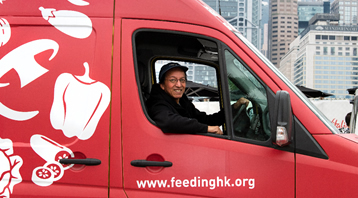 food surplus to charities and community programmes in Hong Kong. with volunteers and community partners to collect, sort and redistribute food. 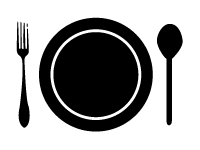 Organise a group to help sort and pack food in our warehouse. Volunteer as a Bread Runner and help collect surplus bread. Collect food staples for our charity partners and help top up our surplus donations. 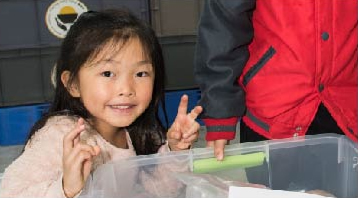 Visit us to learn how Feeding Hong Kong provides a solution for food surplus. For only HK$100, you can support 20 meals for a local charity. We make every dollar count. Thank you for subscribing to our mailing list. Please confirm your subscription in the email we sent you.